I love to tell people that one of the blessings of living in Northern Virginia is that we drive to the east to find museums and drive to the west to find farms. 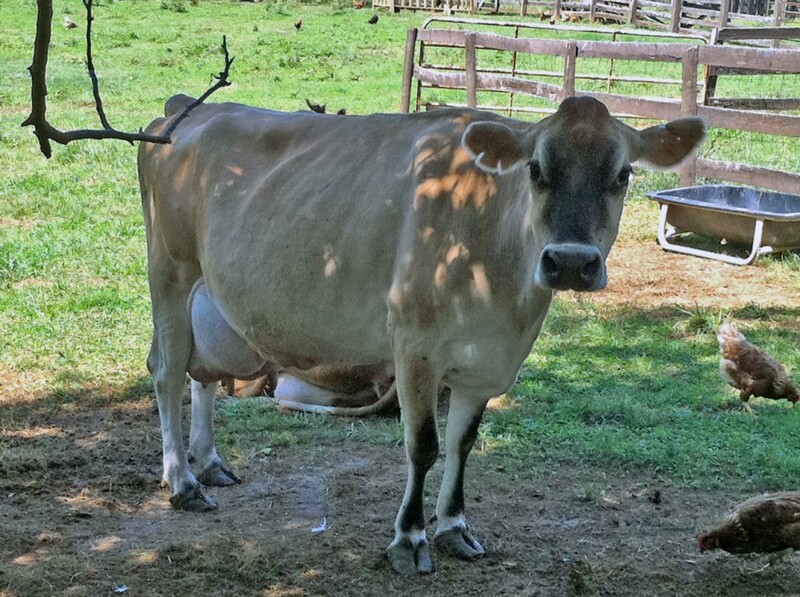 I’ve blogged before about our membership in the CSA (community supported agriculture) program with Great Country Farms, but last week we joined our friends to visit their cow from their “cowshare” at another farm and try some raw milk! Raw milk has been in the news a lot lately, in fact, if you are NoVA local, you may have read or heard a story on WTOP about cowpooling. 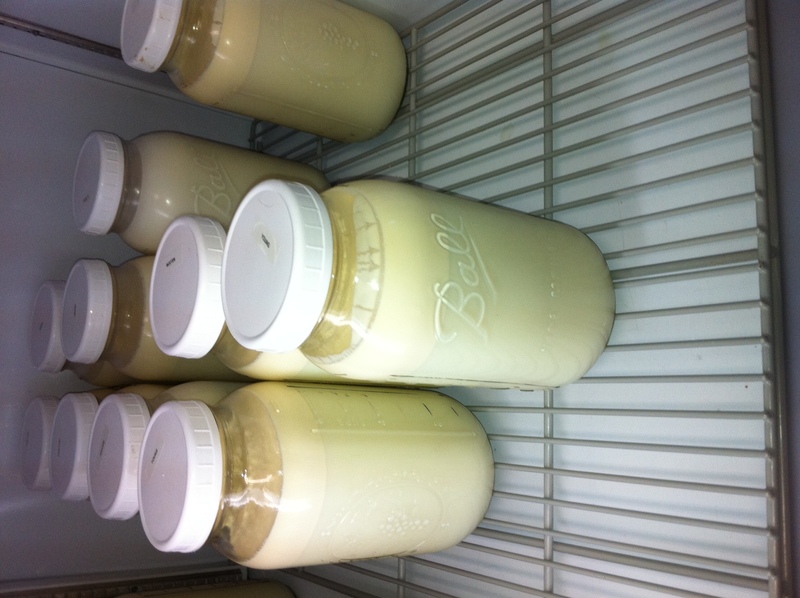 Raw milk is fresh milk, straight from the cow and refrigerated without being pasteurized. It is not legal to sell raw milk in the Commonwealth of Virginia, but a share program is legal in Virginia — essentially people can buy into a herd of cows, paying into the costs of boarding a cow and in return receiving a quantity of the milk from the herd. 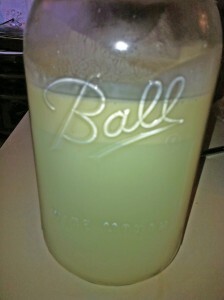 This is what my friend does and each week she drives out to the farm to pick up her glass jars of fresh, raw milk. Mixed reactions like these are exactly why drinking raw milk feels like participating in making moonshine during the Prohibition, even though unlike moonshine, raw milk is legal and many think, actually good for you. Farmers who provide raw milk, whether through cow shares or other programs (methods vary by state) fear government raids like ones that have happened in California (see Jessica Haney’s post on The DC Moms) and that’s why the owner of the farm we went to last week asked that I not name her farm when blogging about this experience, though she is very careful to follow the local laws and cites them on all her materials. Part of the cow share herd. I do not claim to have enough of a science background nor any medical background to be able to argue either side of the pros and cons of the raw milk vs. pasteurized milk debate. Pasteurization kills of certain pathogens in order to minimize disease. Raw milk proponents say that it also kills of valuable nutrients and microbes that bring health benefits and that when under proper management, farms that produce raw milk can produce just as safe if not safer milk. My friend feels confident about her choice to purchase from this farm because it is a very small operation and she has personally seen the many precautions in place to ensure that the cows are healthy and that the milking and storage is conducted in a sanitary manner. For some pro-raw-milk arguments see http://www.westonaprice.org and http://www.realmilk.com. Some pro-pasteurized-milk arguments are at the FDA site and Centers for Disease Control site. I’m not ready for our family to become full-time raw milk drinkers, but I’m glad we had the opportunity to visit the farm, try the milk from our friend’s cowshare, and that my kids got a chance to get an even better understanding of how milk looks straight from the source.